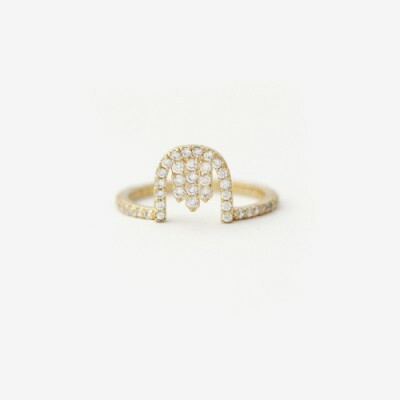 Building on the concept of the Collect U ring, this modernized classic shape is filled to the brim with delicate pavé. The tiny sparkling stones continue around the band. Wear alone or stacked with other pieces from this collection to enhance this statement ring. Materials: Brass, 14k gold plate. cz.